New Jersey Governor Chris Christie announces the state has divested from Danske Bank due to its boycott of Israeli companies. New Jersey Governor Chris Christie has announced that the state has divested all of its investments from the Danish bank Danske Bank due to its boycott of Israeli companies. 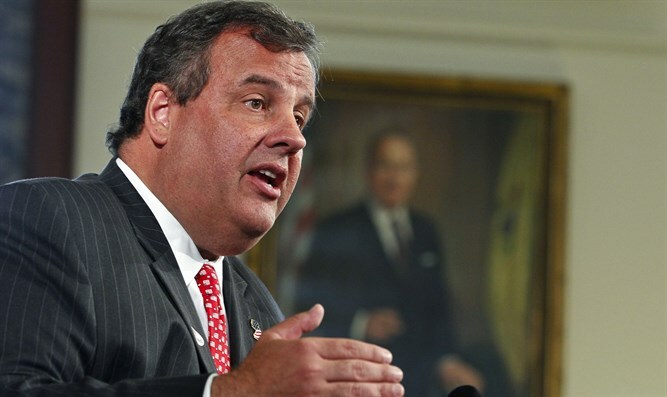 Christie’s announcement came this past Wednesday at a Hanukkah candle lighting ceremony. Danske Bank, along with Sweden’s Nordea Bank, both announced in 2014 that they would boycott Israeli banks, specifically Bank Hapoalim, because they operate in “occupied territories”. The Danish bank already announced in 2010 that it was boycotting two Israeli construction firms, Africa Israel and Denya Cebus, because of their involvement in construction of Jewish homes in Judea and Samaria. In addition, Danske Bank has also blacklisted two Israeli defense companies, Aryt Industries and Elbit Systems, from its customers’ investments. New Jersey is one of several states to have passed anti-BDS legislation. Under the New Jersey law signed by Christie last year, state pension funds cannot be invested in companies which boycott Israel. "The IAC for Action has started a new and unique initiative, working closely with state and local governments to ensure that anti-BDS legislation is implemented efficiently and effectively once it is signed into law. Our recent activity in New Jersey and across the country has made clear that the information about companies engaging in BDS will be shared with the relevant authorities, who will face the legal consequences of their discriminatory activities," it added. Internal Security and Strategic Affairs Minister Gilad Erdan (Likud) on Sunday welcomed Christie’s decision. "Governor Christie’s decision is a very important step in the war against the boycott campaign. This is proof that the legislation against BDS is working and that anyone who is boycotting Israel will pay a heavy price. Over the past two and a half years, the number of states in the U.S. with legislation against BDS has risen from 0 to 24. I congratulate Governor Christie, the IAC and all the pro-Israel elements who helped promote the move. We will continue to act so that world leaders will oppose the anti-Israeli boycott not only in words but in deeds. Those who boycott Israel will end up being boycotted themselves,” he said.